Everyone travels differently; it’s one of the things I love most about the experience. It’s equal opportunity and anyone can benefit from it whether they’re rich or poor, adventurous or not. When it came time for me to think about how I first wanted to experience Myanmar though, there was little question in my mind. 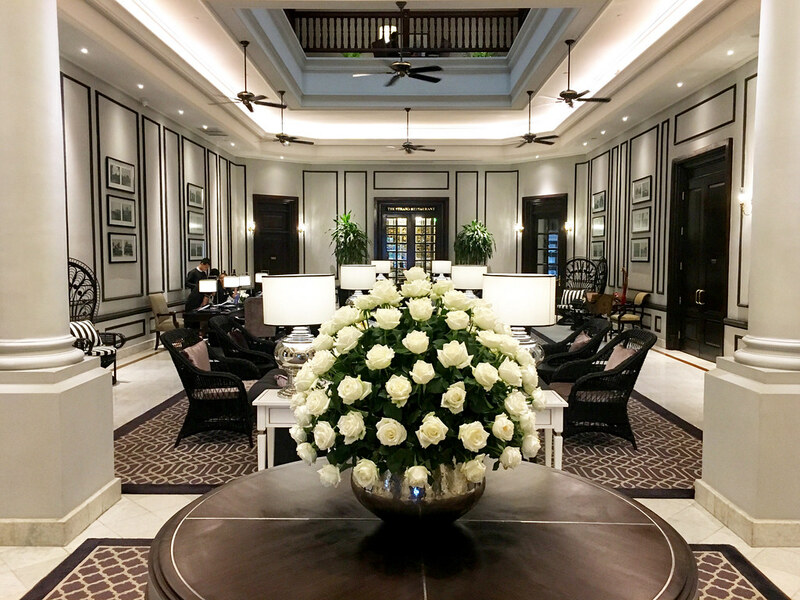 For nearly a century, The Strand Hotel in Yangon has been one of the most luxurious and famous hotels not only in Asia, but the world, and their recent addition of a river cruise along the Ayeyarwady River from Bagan to Mandalay has made this formally city-based luxury experience something that can now travel the country. From my first arrival into Yangon to many special moments in more rural areas of Myanmar, The Strand was my experience curator and for me, and my travel style, it was the best way to first experience this at times mysterious country. Here’s what I think everyone should know what The Strand experience in Myanmar and why I honestly think it’s one of the best ways to see this remarkable country. 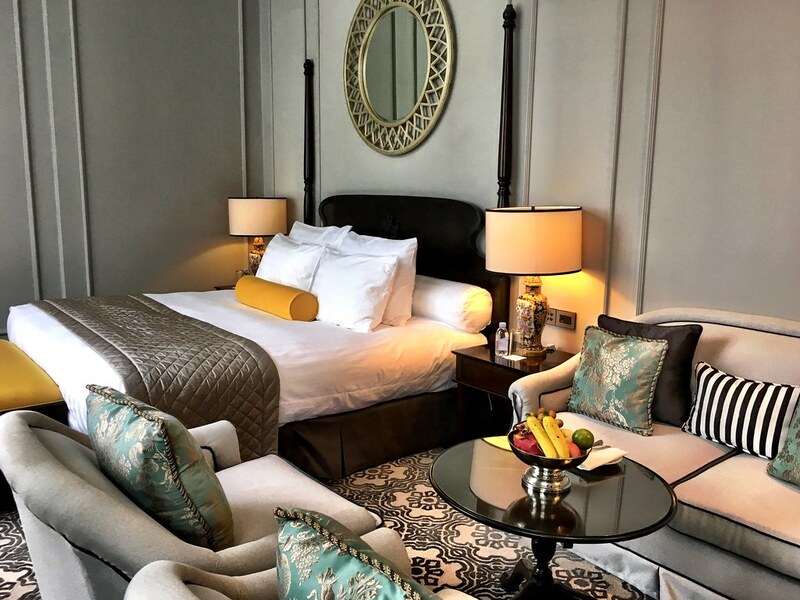 The Strand first opened its doors in 1901 and was later acquired by the Sarkies brothers, famous for their luxury hotels around Asia, like the Raffles in Singapore. It was, and still is really, at the geographic center of cultural life in Yangon, and although it’s changed hands many times over the years, it still stands. Through wars, neglect and political upheaval, The Strand has always remained at 92 Strand Road and now, thanks to a massive remodel last year, it’s been returned to its former glory but with all the modern conveniences. Great hotels aren’t just places to lay your head, they’re complete experiences, and mine started at the airport when our longyi-clad driver picked us up to take us to the famous hotel. Walking through those front doors for the first time though was something I’ll never forget. I felt like an adventurer from a long-gone era, part of a Downton Abbey type of elite that simply doesn’t exist anymore. The remodel thankfully preserved the colonial era elegance for which it’s so well known, adding in modern conveniences and styles that appeal to the 21st century traveler. 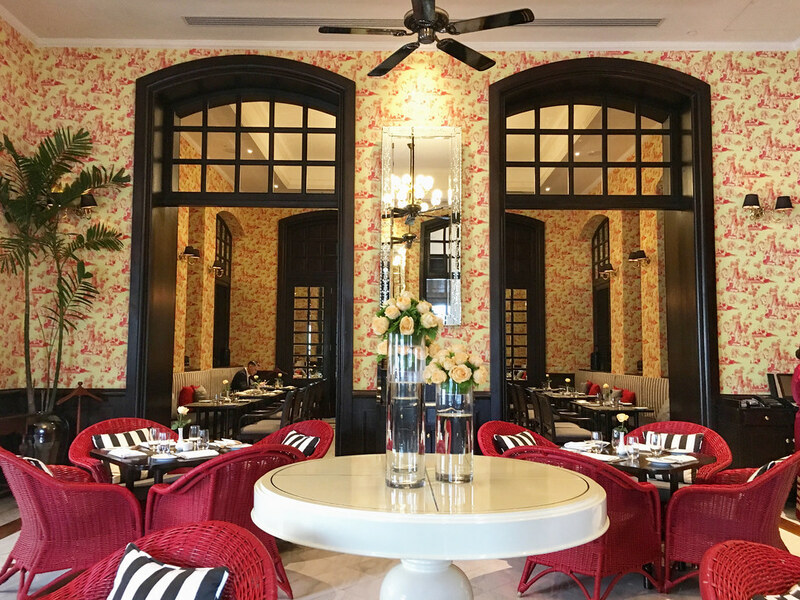 The hotel’s 31 rooms and suites have been painstakingly remodeled, keeping that gorgeous teak and paneling but combining it with textiles and colors that seem elegant and not stuffy, relaxed but dignified. It’s a tightrope to walk in turns of design, but The Strand pulled it off with ease. The Strand was also the ideal home from which to launch my own first time exploration of remarkable Yangon. The first thing I do whenever I visit a new place is to walk around the neighborhood and Yangon was no exception. Yangon is a curious mix of people, styles and eras, all thrown together in a way that at first may seem a little confusing, but ultimately makes sense. It’s also a much more orderly city than I had anticipated, motorcycles aren’t allowed downtown so there’s not the same madness and crush of vehicles as is common in cities like Bangkok. No, Yangon seemed more polite, more dignified and even easier to explore. Since I was short on time, I hired a guide for a few hours who, along with the advice from The Strand’s local staff, helped me experience the best of Yangon in just a couple of days. But it’s also important to note that in many ways The Strand is Yangon. From the colonial era through to today, it has mirrored the ups and downs of the country in a way no other business has. Over those generations, it has woven itself into the fabric of the city, an unlikely outsider welcomed with open arms. But that wasn’t the end of my time with The Strand or Myanmar; it was just the beginning of what was a grand adventure. For a name as iconic as The Strand, it sometimes can be hard to expand its name and image, especially in new areas of hospitality. That’s just one of many reasons why I was so curious for my luxury cruise along the Ayeyarwady River, starting in Bagan and ending in Mandalay. 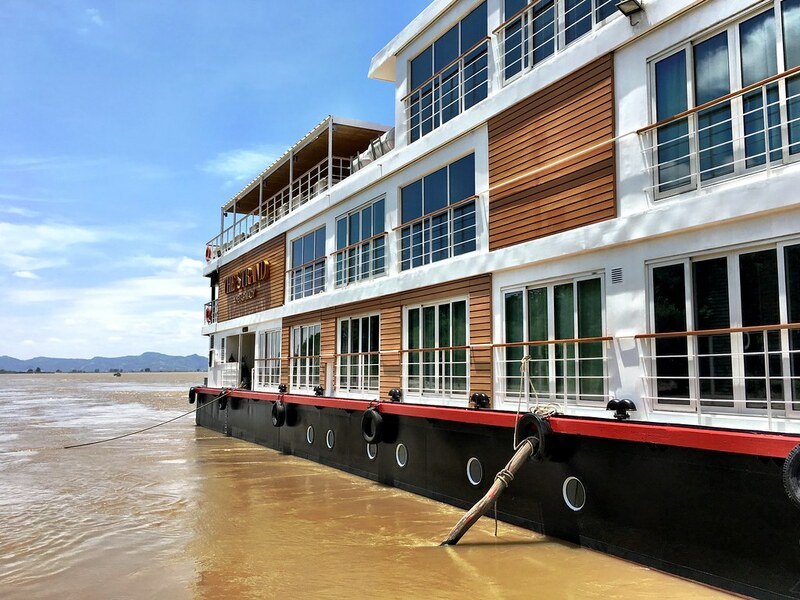 Now in its third season, The Strand Cruise is the latest luxury cruise to hit the river, taking a maximum of just 56 passengers in 28 cabin suites to some of the most remote and beautiful areas of Myanmar. The Strand Cruise truly is an extension of the hotel in nearly every way. That beautifully designed lobby of the hotel is reflected in the teaks and colors of the boat and even the cabins felt more like hotel rooms than cramped cruise ship berths. 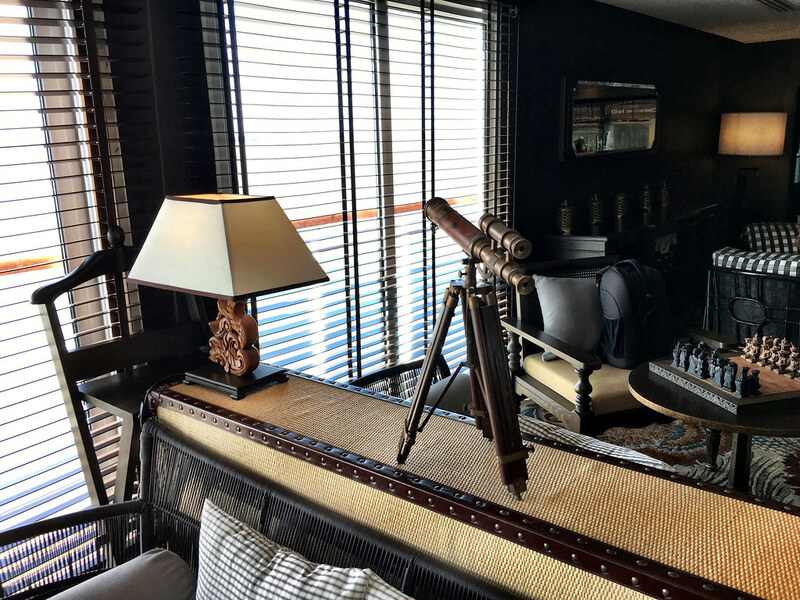 Walking into my bedroom for the first time I couldn’t believe I was on a boat, every amenity and special luxury touch I loved about the hotel was there onboard the ship as well. This isn’t an easy achievement, but The Strand has turned a nice hotel stay in Yangon into an all-encompassing travel experience in Myanmar. More importantly though are the experiences offered throughout the cruise. With stops along the river to some of the country’s most famous, and remote, temples, villages and sights, it was the perfect way for me to first experience the mysterious country of Myanmar. The messy logistics of traveling in Myanmar weren’t my concern; I was able to only focus on the destination, which, for me, is priceless. 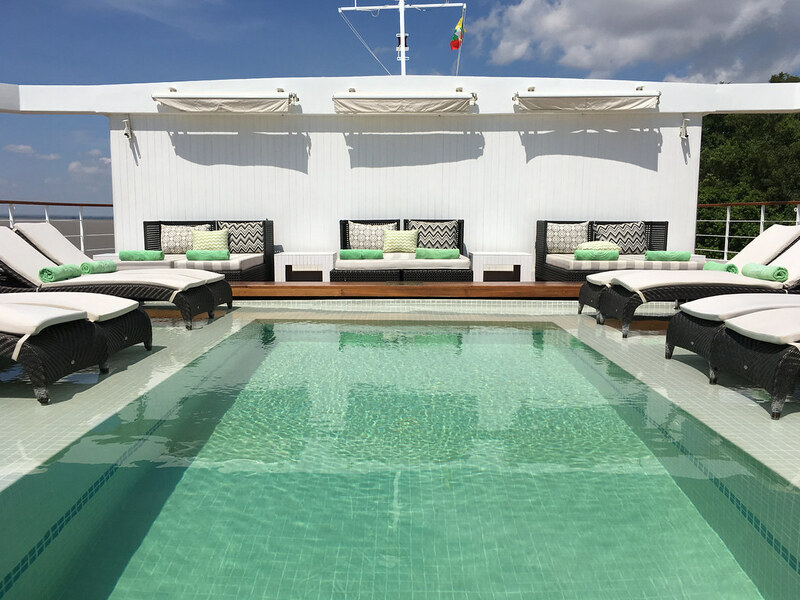 I will soon write about the cruise in more detail, but their emphasis on the destination and the passenger experience transformed the journey into a truly special life experience. Keeping tour groups limited to just 5 or 6 people, everything we did felt bespoke and individual because, well, it was. Sailing along the brown waters of the river without a care in the world, a broad smile on my face and drink in hand is a memory I know I’ll treasure for a very long time. I’ve written about this subject before, but I feel the need to once again address it in this case because it may be the most perfect example of the phenomenon I’ve experienced to date. Truly great hotels and resorts are so much more than a simple place to sleep. If they are doing their jobs properly, they become trip curators. They help us design experiences and memories that are exceptional in nearly every way. At the heart of this curation is the not so simple act of hospitality. I think most of us who travel frequently all have stories of individuals who have gone out of their way to help us or to show us unique aspects of their cultures. It’s an organic sort of hospitality that can be never be planned, but when it does occur has the power to change us in ways we may not be fully aware of at the time. These moments of grand hospitality have also taught me that almost everyone, in every country is basically good. They all care about the same things as we do in life and when they see visitors, they want them to understand their culture in ways a guidebook can never provide. When combined with a world-class hotel or resort, they can transform the journey. That was a recurring theme of my time in the capable hands of The Strand, be it on land or on water. Everyone seemed to care, genuinely care about me and my wellbeing. They wanted my trip to be amazing, they wanted me to see their country, and they wanted to help me achieve all of this. It was manifested in the smallest of details, remembering my great love of Diet Coke for example. But it also presented itself in more meaningful ways, from making sure I was in the archeologist’s tour group because the director knew that I love history or mapping out which food stands were worth my time and which ones weren’t. This is local knowledge, normally kept hidden from visitors but, with the aid of people who actually cared about my trip, was made known to me, if only briefly. How we choose to travel is just as important as where we go. I reject the notion that any part of the travel experience is without worth. It DOES matter which airline I take just as it most certainly DOES matter which hotel or cruise ship I patronize. They are at the heart of my travel experience, they can make or break the trip and in many cases I have experienced both sides to that coin. Thankfully I chose well in Myanmar with The Strand. There is no one better in the country to provide a holistic travel experience around Myanmar, from Yangon to Bagan and well beyond. From arrival to departure, they create memories and experiences that are unparalleled which comes in part from their long history and deep knowledge, but also because of a particular institutional personality quirk. They care. They care a lot actually and that affection can’t be purchased. It’s not hiding in amazing cuisine or teak wood floors. No, it’s part of the DNA of The Strand and that, more than anything else, is what sets it far apart from the rest of the hospitality pack.